Provide comfort for the family of Natalie Puente with a meaningful gesture of sympathy. Natalie Alice Puente of Greenwich, CT died suddenly on December 9, 2018. She was a senior student athlete at UCLA. She was a 2015 graduate of Convent of the Sacred Heart in Greenwich. Natalie was a varsity athlete on UCLA’s women’s crew team. She was a loving daughter, sister and loyal friend to all. She welcomed everyone with a smile that would light up the room. She will be remembered for her beauty both inside and out. She is survived by her loving parents, Anibal and Mary Alice Puente, devoted siblings Megan and Sean, and grandparents Oscar and Ana Puente and Benedict Reynolds. She also leaves behind many devoted family members, friends and of course her beloved Orvis and Luna. Visitation will be held at Castiglione Funeral Home, 544 Old Post Road #3, Greenwich, CT 203-869-0894 on Tuesday, December 18 from 4:00 to 8:00pm. A mass of Christian burial will held at St. Michael’s Church 469 North Street, Greenwich, CT on Wednesday, December 19, 2018 at 10:00am. 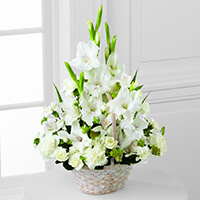 To send flowers in memory of Natalie Puente, please visit our Heartfelt Sympathies Store. Marko Serafimovski (rowing coach) , your UCLA Athletics family, and others have sent flowers to the family of Natalie Puente. I am the father of a CSH girl graduating this spring. I am so very sorry for your loss. We are thinking about Natalie and her family and you are all in our prayers. My most heartfelt condolences on your loss. Dear Puente family, I am so sorry for your loss. Natalie's smile and charisma will never be forgotten. Please accept my deepest condolences. 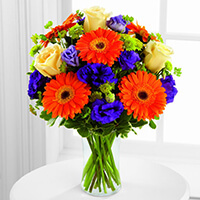 Marko Serafimovski (rowing coach) purchased the The FTD Eternal Affection Arrangement for the family of Natalie Puente. your UCLA Athletics family purchased the The FTD Rays of Solace Bouquet for the family of Natalie Puente.